When you can no longer justify the uniqueness of a product, the quality, or even the best price what do you do? You offer something that money can't buy – happiness. Many brands believe the “happiness formula” has unlimited marketing potential and are trying to figure out how to use happiness to increase employees' productivity and attract more customers. Jennifer Aaker, a marketing professor Stanford Graduate School of Business believes that marketing happiness could be one of the few ways businesses can still appeal to people in a manner that feels authentic. "The idea of brands enabling happiness and providing greater meaning in the world is powerful," Aaker says. "People have an aversion to anything that feels overly manufactured." From Campbell's Soup making your happy place anywhere you have your soup by offering a "smile in every spoonful, JetBlue roadside billboards promising you will "jet happy", Amazon smiling logo, to Coca Cola with its global ‘Open Happiness’ campaign. Almost in every category you’ll find a product that just promises happiness. Happiness is a hot topic these days but delivering on the promise of happiness requires understanding of the use of the word “Happiness”. Why use a word so simple? Why not say something that’s more tangible and comparable such as “superior”, “faster”, “tastier”, “cheaper” or “healthier”? Proustian memories is an involuntary memory in which cues encountered in everyday life evoke recollections of the past without conscious effort. Biggest company offenders using this as a marketing strategy are Johnson and Johnson, Kraft Macaroni and Cheese, Campbell’s Soup and Coca Cola. Wanna scream to the world you are serious about being eco friendly? Then stop using plastic bags and buy ours instead. We will even put a gigantic recycle sign on it so you can rub it to everyone that crosses your path. Marketing to techies? Then you need to know first that Iphone users, are mostly elitists who believe they are more trendy than you and a cut above the rest, while Android users, are all about freedom and not conforming to the norms of society. Wanna rub it in? Then be a rebel and make sure that logo is visible!! The biggest offender in this category is Zappos. Order a pair of sneakers and the box arrives in days. It’s bright yellow and covered in the world “happy!”. You get it? Buy shoes and get happy..not you... Zappos... But no worries, we are so happy that you are making us richer that we will send your shoes in a bright yellow box so you can feel better about your purchase. Hint, hint, buy a second pair and you will get...another yellow box. Be anywhere at anytime marketing tactic. The tactic is simple. They will try to sell you you can escape either physically or “virtually”. Have a cause you need to promote? Let us help by letting you open a petition on our website for everyone to sign. Reach your signature goal, make a statement, rejoice and be happy! The reality about facebook is that they don't work for you. You work for them. is a great deal if you ask me. As you can see, happiness is pushed in almost every product that we come in contact with. As a marketing strategy, happiness has proven to be one of the most successful tactics in helping a brand grow. Consumer happiness is intended to mirror happiness in life and it doesn’t necessarily have any relationship with consumer satisfaction. 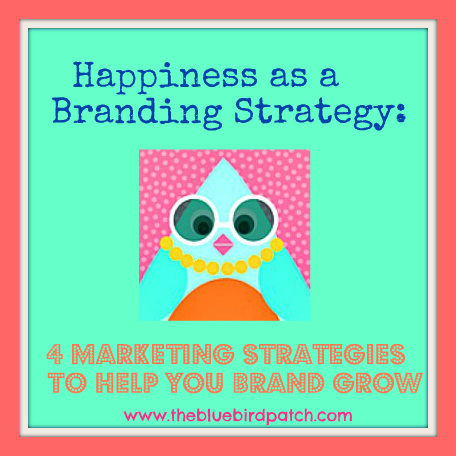 The Bluebird Patch is not against the use of happiness as a marketing strategy. What we are against is the lack of disclosure from companies. Just like cigarettes comes with warning levels companies need to disclose that buying their products does not guarantee happiness. You know that old saying money can't buy happiness... well it's true and there's nothing you can try, say, or market to make us think any different.